D3O and Gamebreaker Helmets announced a new partnership that promises to help evolve softshell headgear protection by implementing new smart material for increased shock absorption. A new trend is changing the mindset of sports leagues and company officials worldwide and that is the need to create better head gear and protection not only in American football and flag football but international sports such as women’s lacrosse, rugby and soccer among others. The Sports Techie community feature blogs about D3O’s technological advancements and business development are readable at this link here. US team sports athletes, regardless of age or gender will be better protected if they have a Gamebreaker or similar helmet or headgear on during a game, practice, training or rehab action or hit, causing a serious or minor blow that leads to a brain injury, skull fracture or bleeding. Softshell headgear by Gamebreaker is revolutionizing women’s lacrosse and flag football. 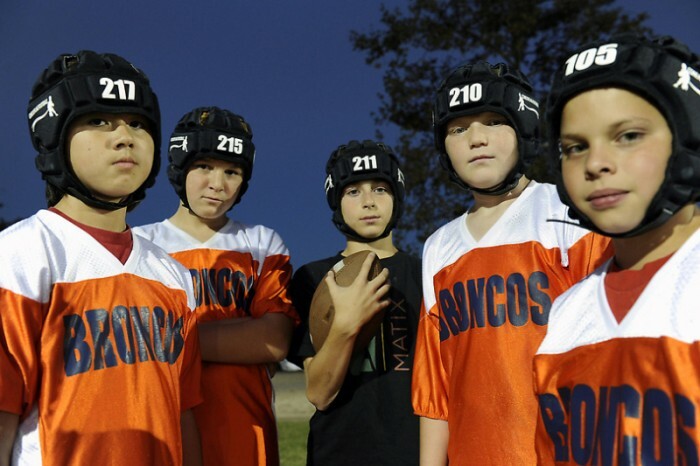 Gamebreaker Helmets plans to create innovative protective headgear with D3O® technology integrated into game-changing products for athletes to feel safer from head trauma both short and long-term. The governing bodies of flag football and women’s lacrosse do not have firm rules in place requiring helmets or protective headgear. 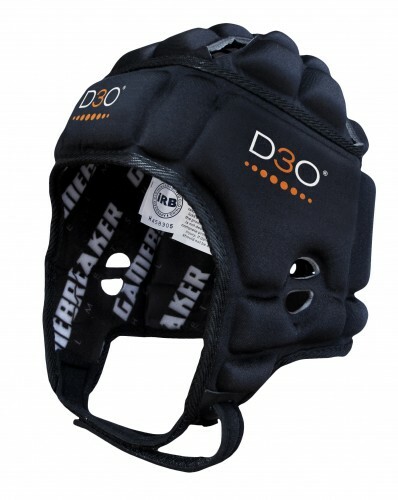 D3O and Gamebreaker will enter the space together and manufacture new protective headgear for adult and youth US non-contact sports that do not mandate wearing a helmet. Gamebreaker Helmets Partners with D3O. Ever take a volleyball spike off the forehead? Have you fallen backwards while playing some type of sport and hit the back of your head? I have been around lacrosse as a player, high school lax men’s head coach, and youth, men’s and summer league official and find it unreal and outrageous that women’s lax does not require head protection gear for the 2015 season and beyond. 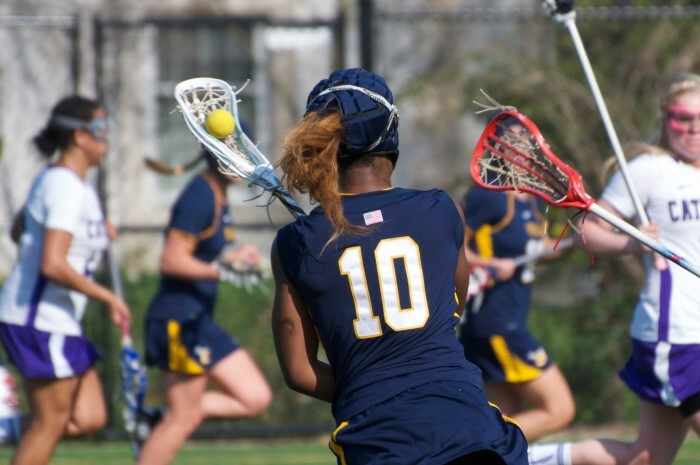 If you are a female in a girl’s or women’s lacrosse league, do you wish head gear was mandatory for better protection against non-contact stick, ball and body or helmet-to- helmet blows involving the head? The answer is probably near 100 percent unanimous for making a helmet or head protection standard equipment. It is simply in the best interest of women’s lacrosse, rugby, 7 v 7 football, men, women and kids flag football, soccer, field hockey, mixed martial arts (MMA), volleyball, water polo, and other non-contact sports, to begin requiring some type of helmet or gear for added protection. It really is a no-brainer. Kids are most vulnerable to the effects of head shots that can lead to concussions, TBI and even CTE. Because people in general are living longer and staying more active, more seniors are playing team and individual sports at older ages and need improved protection from stumbles, trips and accidents while walking with the dog or hiking a mountain, as well as playing outdoor and indoor sports. No helmet can protect the wearer against all foreseeable impacts. Head injuries can cause serious, permanent damage and may even result in death. For maximum protection, the helmet must be of good fit and the retention system must be securely fastened to retain the helmet. The helmet, when fitted and fastened should be easily removed. This helmet is so constructed that the energy of an impact may be absorbed through its partial destruction, though damage may not be visible. Make no modification. Fasten Helmet securely. If helmet receives a severe impact return to the retailer or manufacturer for inspection or destroy it and replace it. Gamebreaker is a leading manufacturer of performance protective softshell headgear in the USA. Involved in sports at all levels for over 25 years. 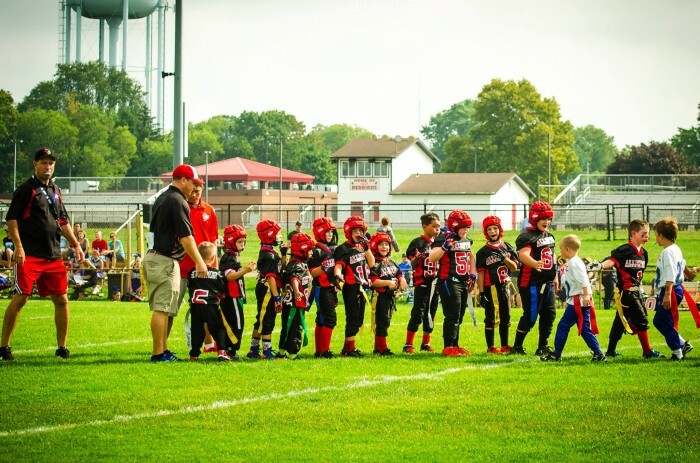 Gamebreaker Helmets are currently used by men, women and children across America in a variety of team sports from the youth level to the collegiate level. Gamebreaker is a leading manufacturer of performance protective softshell headgear in the USA. D3O at www.D3O.com is a developer of smart materials based in Brighton, on the south coast of the UK. D3O develops ground breaking impact protection solutions and is a market leader in protective wear and shock absorbing materials. The Group currently supplies leading brands in the footwear, electronics, sport, motorcycle, industrial workwear, law enforcement and military protection markets. A growing range of innovative new products and international growth have enabled D3O to triple in size over the last three years and to build a customer base of leading brands and organizations. These include number one American Football helmet manufacturer Schutt Sports, Icon the US motorcycle brand, Burton Snowboards, CrudeHands gloves, the US Special Forces, and Dr. Martens and Karrimor footwear. D3O was awarded the 2014 Queen’s Award for Enterprise for its strong growth in international trade. In April 2015, D3O raised a total of £13 million in funding from European-based investor Entrepreneurs Fund and US- and UK-based Beringea, to support the further expansion of the company’s impact protection products and international market growth. Sports Techie, Gamebreaker Helmets currently use’s a EVA rubber foam mold that is sure to be enhanced with D3O smart materials. The outer shell is surrounded by LYCRA giving it wicking, heat and odor relief properties. The current price is $84.00 with a custom logo option. New pricing and products are not yet available. Now that we are part of the ASD community, I could see kids at risk for autism and boys and girls confirmed to be on the spectrum through adulthood, wearing the Gamebreaker as needed at the playground, around home or on the practice field. Riding a scooter is the number one cause of accidents for kids and how many are not wearing a helmet. I believe protective head gear or helmets for your sports playing son or daughter whether they have special needs or not, for both contact and non-contact sports, is needed yesterday. Follow and engage with hashtag #gamebreakerhelmets for updated content and product news.